Reeves Family Farm invites you to enjoy a fall extravaganza at their Fall on the Farm event. Attendees can bounce from one autumn themed activity to another including hayrides, cold apple cider, okra maize, pumpkin flavored snacks, pumpkin patch, pumpkin games, kettle corn, fall themed photo opportunities and flavors of fall donuts. Pumpkin games will include pumpkin toss, pumpkin bowling and others. The games will be held in the greenhouse. In addition to the fall fun, they will have farm themed activities such as pet and feed farm animals and take a pony carriage ride around the farm. Snickers the pony will be available for photo opportunities. They also have a longhorn named Buddy. 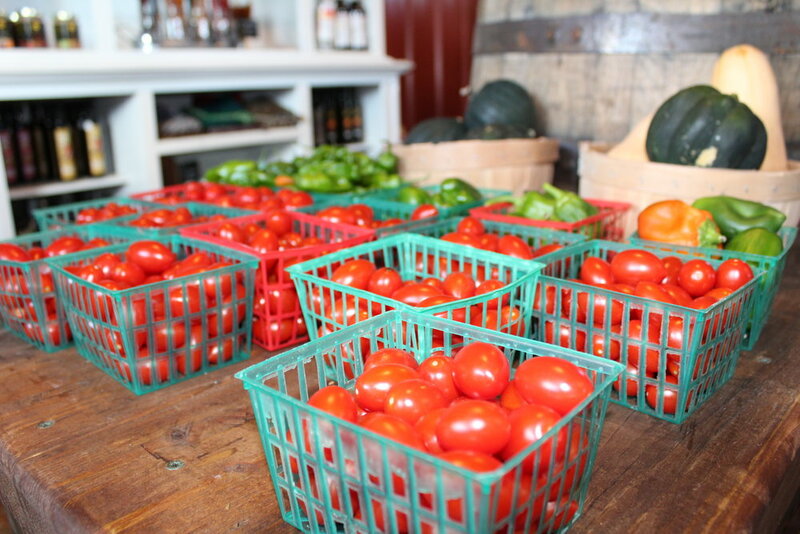 The Farm Store will be open and filled with fresh produce, preserves and much more. Aaron Reeves owns and operates Reeves Family Farm with his wife Stacy. After going on a six-month mission trip to Hawaii, where they saw how free their children were on the big open property in which they stayed, they returned to their home in a suburban neighborhood in Wylie and decided they wanted to become farmers. Regarding their farming experience, Aaron said, “I always had an interest in my great grandfather’s (“Poppy”) garden in Amarillo…picking weeds and harvesting. Stacy’s grandparents were truck farmers. They grew a small amount (of produce) and carried it to market.” Before becoming a farmer, Aaron worked for the United States Postal Service. They bought the farm in 2008 because they saw a need to provide locally grown vegetables. They started with eight acres of cantaloupe and okra. Today, they seasonally cultivate 50 acres of okra, cantaloupe, squash, zucchini, sweet onions, lettuce, kale, tomatoes, cucumbers, green beans, potatoes, beets and radishes. They sell their produce at their Farm Store, to grocery stores such as Market Street and Sprouts, Indian markets and restaurant distributors. The Reeves family of five lives on the farm. They built their home two years ago. Aaron said that after seeing many of their repeat customers come to their Farm Store from Fairview, Lucas, Allen, McKinney and Murphy, he thought they might be interested in coming to a fall themed event. Thus, Fall on the Farm was introduced two years ago. He said people of all ages will enjoy the experience. Visitors to Fall on the Farm will have the opportunity to slow down and relax, enjoy quality time on a farm, take pictures, make memories and bring home good food. The cost is $6.00 per person to attend Fall on the Farm (children 2 years old and younger are free). This price includes the hay ride and a small pumpkin. Additional costs for other activities are under $5.00 each. Reeves Family Farm is located at 3577 FM 1377, Princeton 75407 (17 miles from Lovejoy High School). Fall on the Farm will be open weekends through the end of October. Hours are Friday 10am – 6pm, Saturday 9am – 6pm and Sunday 1pm – 6pm. Find Reeves Family Farm on Facebook for updates.